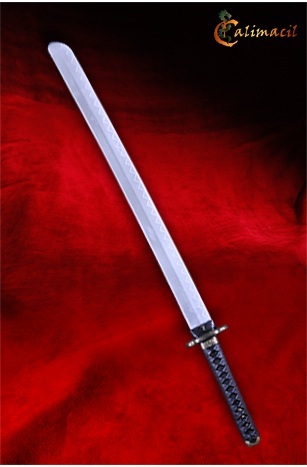 Perhaps the most effective and lethal sword ever designed, the Japanese Wakizashi is swift, elegant, and deadly. The designs in the Musashi are modeled after the crests and patterns used by the Ronin of Japan. The Ronin were masterless Samurai; wandering mercenaries who roamed the land for thousands years earning their keep by selling their martial services to others. Those with honor are still remembered today: like the legendary samurai Miyamoto Musashi and Tomoe Gozen. 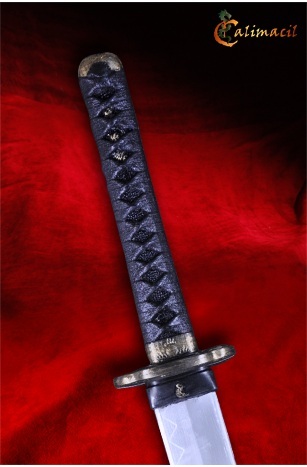 Note that the tsuba on this wakizashi can be replaced, yet when it is seated it remains solid enough to properly deal with full-contact combat! The standard color is black and gold. 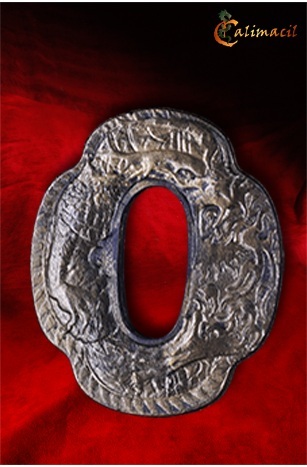 -tsuba size: 4" tall x 3.5" wide x 3/8" thick.